And so not what I was trying to achieve. But did I mention the good part? So good, I almost wet myself because I really need to go to the ladies room but those things were too hard to walk away from? A few weeks ago, I saw a recipe on my friend Kelly’s site, Confessions of a Kitchen Failure. It was the recipe for Fantasy Football Treats. Not only did they sound great, but they looked fantastic. AND she had a genius idea for using the leftover bites of brownies. I knew I had to try these and so I launched into a search for the ingredients. 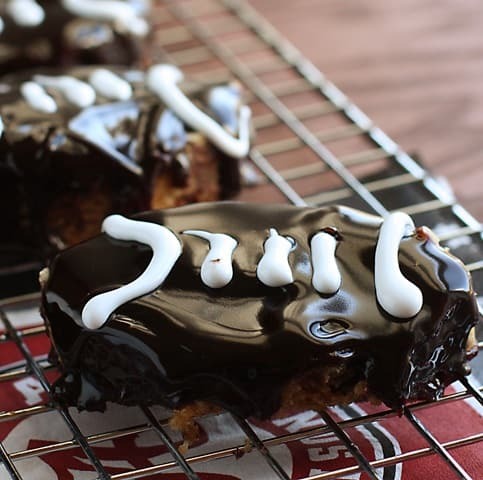 The next weekend, I had all the ingredients ready and realized I did not have the football cookie cutter. I made the brownies anyway and knew I didn’t like that scaly stuff on top. I made a note to work on that for the next weekend. Well, 3 weekends later, I had the cookie cutter. I had the stuff to make brownies. And I changed my mind again. I never could get mine to cook with the lovely even top. Mine all had the scaly stuff. I got to thinking back to one of my favorite “accidental” desserts when I was a kid. 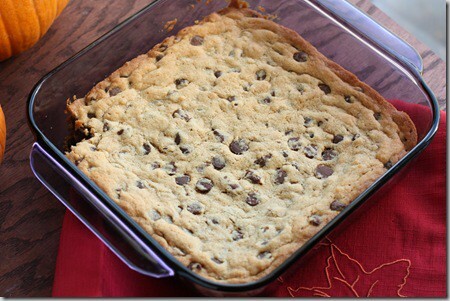 Mom once took cookie dough and formed it in a 9×9 pan and baked them like brownies. She called them cookie bars. I almost ate the whole pan and I was maybe 10 years old. I never forgot those, but I rarely make them because…history repeats itself. I could still eat the whole pan and I’m a lot older than 10. I wanted to try cookie bars with a melted chocolate top. So I did. Then I used an icing pen to put the white detail. So what is the fail? They were so messy! I had chocolate every where! I cut them out after they cooled COMPLETELY. 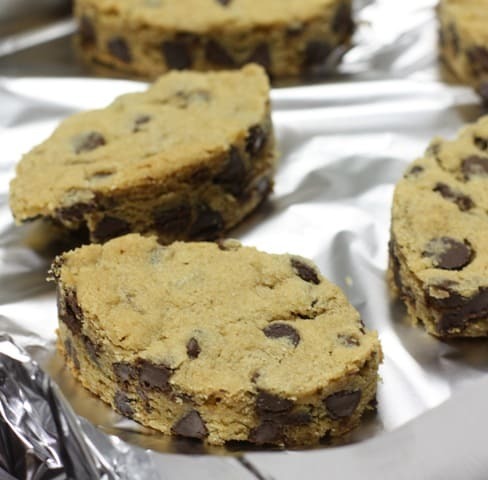 Then I covered them in melted chocolate chips. I used a double boiler to melt milk chocolate. I added a little dark cocoa powder, too. After I drizzled it over them, I let them set a few minutes, then attacked them with a pen. I obviously need to work in my icing skills.